For decades, the U.S. and China have circled uneasily as current and future global superpowers. Now, President Trump's continued escalation of actions against Beijing threatens to push the two powers close to direct conflict. Driving the news: This week, the U.S. took perhaps its most provocative action yet, springing a trap in Belgium that captured Yanjun Xu, a senior Chinese intelligence operative, and arraigning him in Cincinnati for economic espionage. This afternoon, Xu pleaded not guilty. The Xu arrest was the first such U.S. action against Beijing. Were the situation reversed — and a U.S. spy be on trial in China — it would create a major political crisis in the U.S., and possibly put the countries on a war footing. Thought bubble from Axios China author Bill Bishop: Expect a reaction soon from Beijing, quite possibly including the arrest of an American in China as a spy. The big picture: This was only one of three substantial U.S. escalations against China this week. The Trump administration also tightened scrutiny of Chinese investment in U.S. technology, and issued new restrictions on the sale of civilian nuclear technology to Beijing. Trump and Chinese leader Xi Jinping may meet next month at the G20 meeting in Buenos Aires, the WSJ reports. But the trio of actions — coming after last month's enactment of tariffs on half of Chinese exports to the U.S., amounting to $250 billion — amounts to a significant intensification of the U.S. offensive against Beijing. The White House asserts that it is only seeking redress after a wholesale Chinese assault on the U.S. and Western economies through the theft and extortion of intellectual property. And some dangle hope that the relationship can return to what it was once trade and IP issues are resolved. But many experts say relations are forever changed — and that the risk of an outbreak of war is growing. "As confrontation increases, the path to conflict is very short because the space to talk has been reduced or even eliminated," Gen. John Allen, president of the Brookings Institution, tells Axios. "As it turns out trade wars are not easy, as some have proclaimed. And when you have the two most consequential nations on the planet trading increasingly damaging blows, accompanied with increasingly inflammatory rhetoric, the race to the bottom will be harmful to Americans and Chinese alike." The bottom line: One worrying thing is that, while Trump has sought to force U.S. allies to join the offensive, it has failed to do the diplomacy to create that kind of united front. 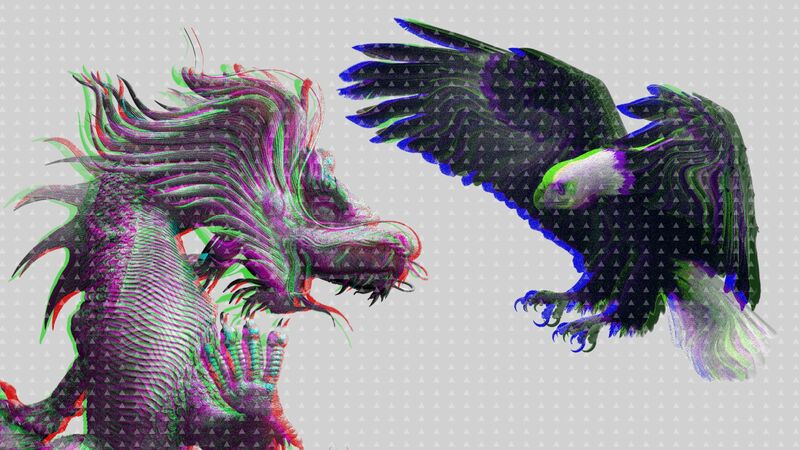 "This is all doomed to failure, not because China is strong, but because this weakens the U.S. and shifts the world economy away from us," Adam Posen, president of the Peterson Institute for International Economics, tells Axios. "Those who will suffer will be emerging markets and U.S. consumers, with no military advantage gained." When it comes to the forecast driverless car revolution, Ford says it isn't worried about being first to market; it just wants to be sure its vehicles are profitable. You hear a lot of talk from Waymo, Tesla, Audi, GM and others about their fast-advancing self-driving car projects. Most are already in pilot tests, and planning to be on the market in a year or two. But none of that rattles Ford, CEO Jim Hackett tells Axios' Joann Muller. He doesn't plan to have a self-driving fleet on the road until 2021, a more leisurely pace set by his preference to first see that customers want them — a demand that isn't apparent yet. Says Joann: "If you don't have a business model that works, great technology doesn’t matter. Just ask Blackberry." The big picture: Hackett says the secret is high utilization rates — keeping one's self-driving fleet on the road, collecting revenue, as much as possible. Toward that aim, Hackett says automated goods delivery has as much promise as driverless taxis. What's next: Ford recently carved out its AV project as a separate business to accelerate development and attract investors, and expects to invest $4 billion through 2023. 1. How AI helps tyrants: Technology is a boon to centralization. 2. Will AI make us dumb: Kissinger's thesis about the coming atrophied mind. 3. The U.S.-China garlic war: American garlic growers love the Trump tariffs. Why it matters: Boston Dynamics is trying to figure out how to sell its robots, including Spot, the robot that in the clip above is moving with an agility and versatility that possibly no rival has matched, Axios' Kaveh Waddell reports. What's going on: Boston Dynamics likes to cloud its work with mystery, teasing the watching world with showy videos in which robots do amazing feats.